It is good to have 8 ADC inputs on Atmega328p, of which last one is actually thermometer inside chip, but there are no DAC converter for making sound out of digital data. Tried one DAC chip, MCP4725, which is 12 bit DAC with I2C data transfer, but turns out that it is pretty slow even at 800 kHz I2C bus. That is because of something weird inside this chip, where time required for output signal to reach maximum, starting from zero is 6 microseconds, no matter what I do. So, I decided to use PWM as possible way to do DAC conversion. By using fixed frequency, but variable length of the pulses, it is possible to change output voltage from digital output (!) from zero to maximum voltage, depend of voltage which is applied to Atmega328p. If pulses are narrow, then after filtering by low pass filter (RC or LC filters) – output voltage is low. If pulses are wide, voltage is higher. So, in the case of 5V on the Atmega chip, if duty cycle is 50%, then output voltage is 2.5V. How good is sound quality? Not so good if PWM frequency is low. Also depends of how many bits are used. If 16 bit timer is used, in theory it is possible to use all 16 bits, which will give 65536 voltage steps, but then PWM frequency will be pretty low. For driving motors or LEDs it is not a problem, but it is problem for audio applications. Some relatively good quality for voice is possible by using 62.5 kHz PWM with 8 bit resolution on Atmega328p with quartz crystal on 16 MHz. That is because Fast PWM with timer(s) and divider of F_CPU/1 (no prescalling) require 256 counts, which can be calculated by formula: FPWM=F_CPU/256. In the case of 16 MHz crystal, this is 62500 Hz, or 62.5 kHz. This frequency is pretty good for voice audio, but not so great for music. But, this is trade-off of using inexpensive way to make DAC out of this chip. Other way than using timer(s)? Yes. 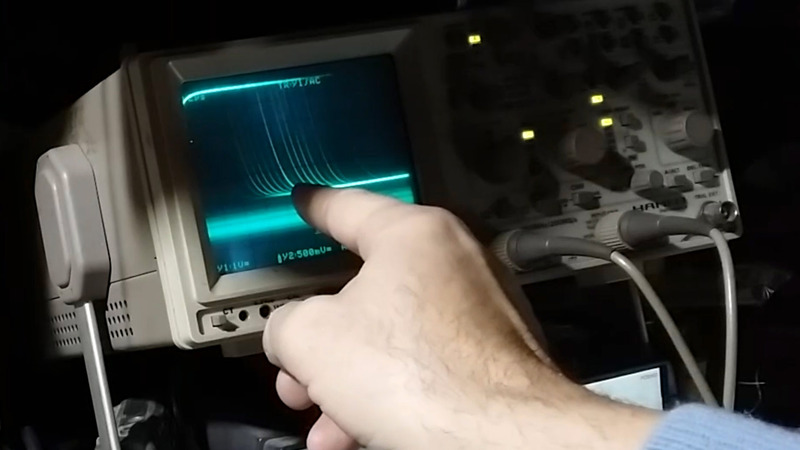 I had problem making exactly 40 kHz for ultrasonic purpose, because of all frequencies at which PWM can work, neither one can be get by using dividers, and/or number of bit manipulations. So, I made an “PWM imitation” by using two delay loops (for (;;) ), where variable delay is obtained by changing number to where loop goes. For example: “for (i=0;i<32;i++);” together with the rest of the code gives me 12.5 microseconds, which is half of 25 microseconds needed for 40 kHz (1/25 uS = 40 kHz). There are two loops, where first one gives ON time, and second one OFF time. Sum of ON+OFF time gives duty cycle in steps depending of how much bites are used. Since whole process is relatively slow, I am forced o use just 5 bites, which is okay for voice audio. This mins that 5 bites gives duty cycles in 32 steps, from near zero to maximum (which in my case is not 100% but rather close to 80% due to other commands in the C code). One of this additional codes are ADC conversion and mathematics conversion from 10 bits to 5 bits. This just slow cycles enough so that it can’t reach 100% pulse width. while(1) //infinite loop, but faster than "loop()" itself! Previous PostArduino I2C ScannerNext PostATtiny85 Bricked? No problem!